Genetics has a large part to play in your appearance, and studies show that a tendency towards crooked teeth, an overbite, or other conditions can be hereditary. Because of inherited problems or lifestyle issues, people with unsightly smiles may struggle with self-consciousness and a lack of confidence for years. All that can change, with the help of Invisalign. Thanks to bad luck and inherited tendencies, many people in Singapore and elsewhere in the world have lopsided smiles or uneven teeth. Others suffer from staining due to smoking, or their teeth have become yellowed because of too much coffee, tea, and soda. Sometimes, an accident or disease results in the loss of a tooth, leaving a gap in the smile. Teeth can become chipped or cracked because of impact. If the bite is misaligned, teeth can be worn down in an uneven pattern, risking the health of the tooth and making the smile look even more asymmetric. 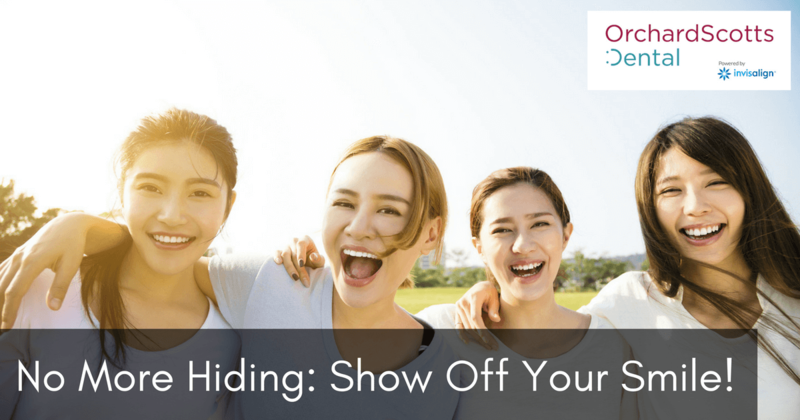 Because of these issues, teens and adults may feel self-conscious about ever showing their teeth. They may avoid public speaking engagements because they don’t want anyone staring at their unsightly teeth. They control their laughter and keep their lips over their teeth, rather than letting loose and laughing out loud. When they have to smile for pictures, they do so with closed lips, or they may hold up a hand to cover the mouth. However, not every person is a good candidate for Invisalign. In the early years of the product, patients were sometimes denied treatment with Invisalign because their cases were too complicated for the Invisalign technology. Fortunately, the technology has advanced since its first years. Singapore dentists and orthodontists, as well as experts in other parts of the world, have used Invisalign for a variety of complex cases. For severe dental issues, Invisalign may be paired with other small appliances or rubber bands. Have you been told that your case is too tough for Invisalign? Come to Orchard Scotts Dental, an established dental clinic in Singapore, to get a second opinion. We have created hundreds of beautiful smiles since we first became a provider of Invisalign in Singapore. Besides Invisalign, we offer services like teeth whitening, dental implants, porcelain veneers, and crowns. Our team would be happy to evaluate your situation and prepare a customised treatment plan to give you the smile you deserve. Source: The Morning Call, March 3, 2017.